Each day in my medical intuitive practice there is at least one client seeking answers to sleep deprivation. Lack of sleep is so common that the Cleveland Clinic estimates that nearly 75 % of adults and 25-30% of infants and children experience some form of sleep disturbance at least a few nights per week. So many are walking, driving, and working in a sleep deprived state that it has become a national health crisis. I wonder how often the poor judgement and cloudy thinking that accompanies lack of sleep is the cause of accidents, mistakes, and contentious encounters in our day-to- day existence. Sleep deprivation is miserable. It is even a common form of torture. But what if we look at the issue of sleep deprivation from a different perspective. What if we look at the common, everyday sleep disorder as a spiritual wake-up call? During my years of spiritual training with Sufi Sherdil Amin, a realized master, I was taught that the highest frequency teachings are transmitted from the ascended masters during our traditional sleeping hours, around 3 -4 AM. We were taught to wake up or allow ourselves to be awakened by soul stirrings to receive the wisdom that was available in those precious moments when our minds were quiet, and our souls were connected to the higher realms. The sleep habits of monks, masters and mothers are not the same as the rest of the world. Why is that? Why do babies need their mothers in the middle of the night? Why do monks wake every few hours to meditate? Why are ascended masters attuning us during our sleep states? It’s wasn’t easy to interrupt my sleep, but knowing it was a spiritual practice gave it greater meaning. The spiritual opportunity present in those early morning hours were and still are so remarkable that it was worth the effort to adapt my everyday life to my spiritual life. These spiritual “wake up calls” have been the greatest source of spiritual teaching and inspiration. than ready to soar freely into realms of higher frequency and love. I wonder if the striving to match our sleep patterns to the material world is blocking us from growing spiritually? It makes sense that we are more open to spiritual teachings during our rest cycles. When do you have time to open to the subtle world during your busy day? It’s no secret that the US has the most demanding work schedule with the least amount of vacation time than any other country on the planet. Where is the space for spiritual attainment? What if our lives revolved around our spiritual needs rather than our material needs? I ask this question in earnest because it is not being asked enough. What if your spiritual life calls for you to wake in the middle of the night so you can contemplate quietly, sinking into your pure wisdom so your life becomes soul aligned? What if you are meant to receive spiritual wisdom in the form of visions, visitations, and revelations from the numinous world that guide you towards the fulfillment of your desires? During the weeks leading up to the winter solstice people often experience more sleep disturbance. 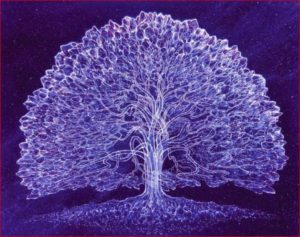 Despite our separation from the natural cycles in our daily life, some part of our soul is awake to the spiritual opening that occurs during the solstice. Even if it’s a little crack in the armor, that hard shell of rationalism that separates us from heart and soul, you may experience more sleep disturbance as the solstice light tries to wake you up to the wonder of you. It’s worth being a little creative in your approach to sleep disturbance, especially during the solstice and equinox cycles. Maybe you need a little nap during your lunch time break. A fifteen-minute nap can make you feel great and make up for the hour you spent in meditation during the night. Why can’t YOU have the same life changing inspirations that Edison and Einstein had during nap time or in the middle of the night? Of course, you need a good night’s sleep. But it might be time to look at how our society has structured time into “productive” and “non-productive” hours. My father was a time management expert and was always trying to maximize productivity. This created a void in his life and ultimately in our family. His god was productivity. The creative and spiritual were not valued, in fact they were devalued because they were considered “non-productive”, i.e. didn’t produce a product that made a financial profit. I was born into this family…chose to be born into this family, to ultimately firm up my dedication to the spiritual and creative arts. I had to experience firsthand the devastation to the soul that the landscape of “productivity” produced. From the moment of birth, I knew I was different than the rest of my family. While everyone in my family was studying science, math, medicine and law I was having ecstatic spiritual experiences and studying the realm of the soul. I was the only spiritually oriented artist in the bunch. 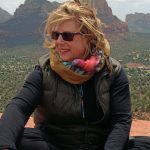 It was not easy, but every bit of resistance and judgement I felt from those around me only fueled the fire for my spiritual and creative aspirations. How many artists and musicians are “night people”? Often, they sacrifice their material success for their artistic expression. Having been on the fringe of society as an artist in my early professional years, I saw how it was nearly impossible to arrange creative inspiration to fit into society’s time schedule. I wish we didn’t have to choose, that our society could respect and value creativity and spiritual inspiration as a foundation of a healthy and integrated life. I’m inviting you to see the issue of “sleep disturbance” on another level. The epidemic proportions of the issue almost demand that we look at it from as many perspectives as we can so that holistic solutions may be considered. What if the way our society is structured, ignoring the creative and spiritual cycles of the fully realized human, is at the base of the problem? What if we need to change our life style instead of forcing ourselves to sleep with medical intervention? The winter solstice is three weeks away. 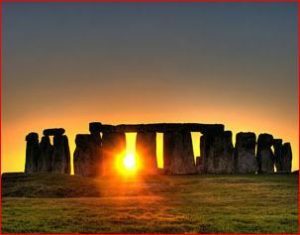 The solstice is a very special spiritual moment. It is when the heavens align so that the wisdom of the cosmos is dispensed to humanity, freely and generously. All that the prophets, saints and masters taught through religion and spiritual traditions is available in a free download during the solstice and equinox periods. This is the reason these cosmic events have been honored throughout all of humanity’s history. Every sacred site is aligned with these four pivotal moments in time and space. Why would so much effort be put into making sure the solstices and equinoxes were observed if they weren’t so important to creating a spiritually aligned, liberated life? What if you allowed yourself to open to those intimate nightly meetings with your soul leading up to the solstice? What if you allowed yourself to tune into the subtle callings of your intuition and really listened in the silent darkness of night, when the starlight is streaming into your consciousness and tickling your heart with wisdom, grace and the lightness of being? You might be amazed at what is revealed to you. It could turn your world upside down and inside out. You may choose to be up in the middle of the night when the rest of your world is sleeping because the spiritual benefits are so bountiful. It’s the restlessness of your mind that causes exhaustion. You might find this time to be your “special” time, when your body can find a deeper rest in the peacefulness of your soul. I think this is very interesting and their is no coincidence that I stumbled across your page and this post. Recently in the past 3 weeks I have adopted a new sleeping schedule of waking at 4a.m. I did not have a reason why and people would ask me, and I would just say, so that I can have longer days. However, on Monday, I completed my same cycle of waking at 4am and continued throughout the day without any afternoon nap and that night I could not sleep at all. I tossed and turned and meditated and experienced REM but I did not rest until about 3a.m. I laid there thinking, why does my body not want me to rest right now. But after reading this I have gained clarity and awareness that I needed to receive the energy and the communication from my inner being on that evening. I am going through changes and I need to be open and allow them to occur instead of going against them. Thank you. This year the equinoxes and solstices have dramatically affected my sleep. After several nights of interrupted REM, I am but a shell of myself during the day. It is also true that what I end up reading in these wee hours illuminates my path in some way. And the dreams I have in the 2nd phase of sleep (if time permits) are also illuminating. The struggle is indeed trying to maintain a “productive” schedule that conforms to our capitalist structures that dominate society (and our bodies) in the midst of these deep night interludes. The splitting is part of my suffering this week. Thank you for the insight and permission to allow the 3-4am wakefulness. And for giving me a forum to journal this out in my slightly sleep deprived yet soul nourished state. Dear Ashley, You express yourself beautifully in the wee hours. I’m hoping that with permission your being shows you a creative way to sleep and live harmoniously while still nourishing your soul. I Loved this article. Such great timing. Thank You Sarah! Now I know why my puppy has been waking me up a 4:00am the last few days.